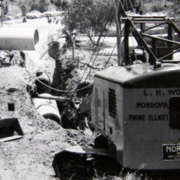 Two San Diego County Water Authority employees took home first place honors in the annual – and unusual – competition that tests the mettle of public works professionals with backhoes, wheelbarrows and other tools of the trade. 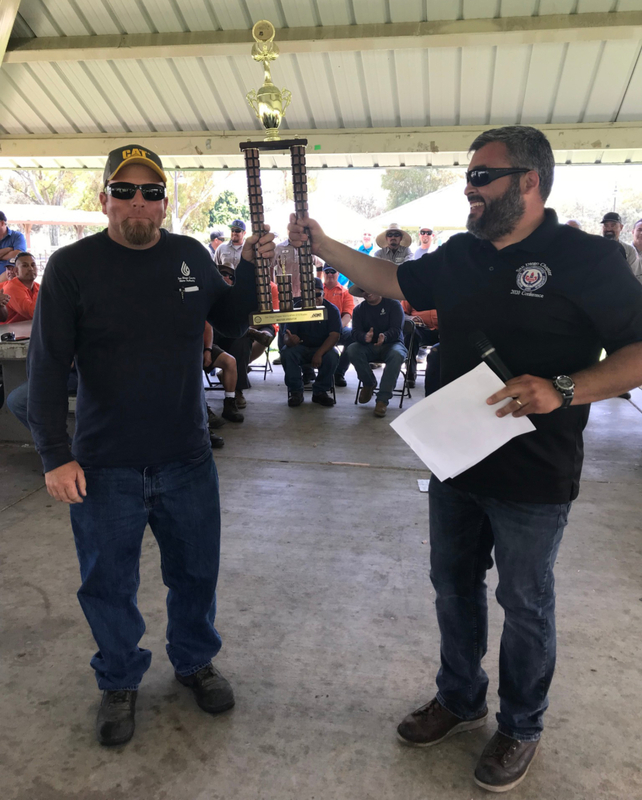 And one Water Authority veteran – Bobby Bond Jr. – earned the title of 2018 Master Operator for completing all the events in the lowest combined time. 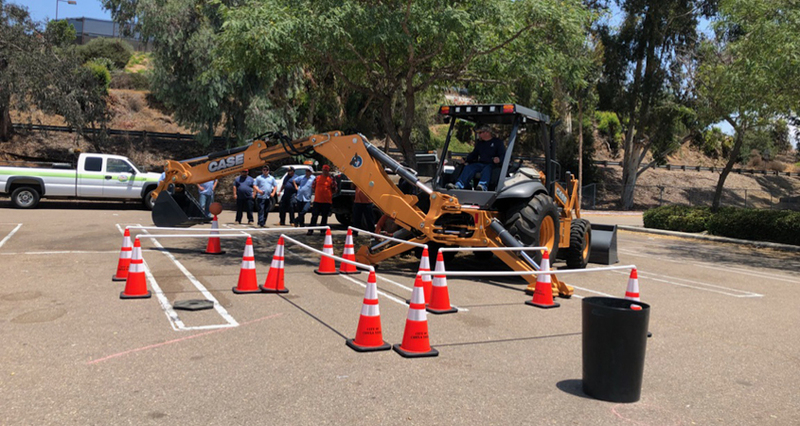 Twelve teams of four crew members participated, and 24 operators vied for the title of Master Operator at the July event hosted by the San Diego Chapter of the Maintenance Supervisors Association and American Public Works Association in Chula Vista. 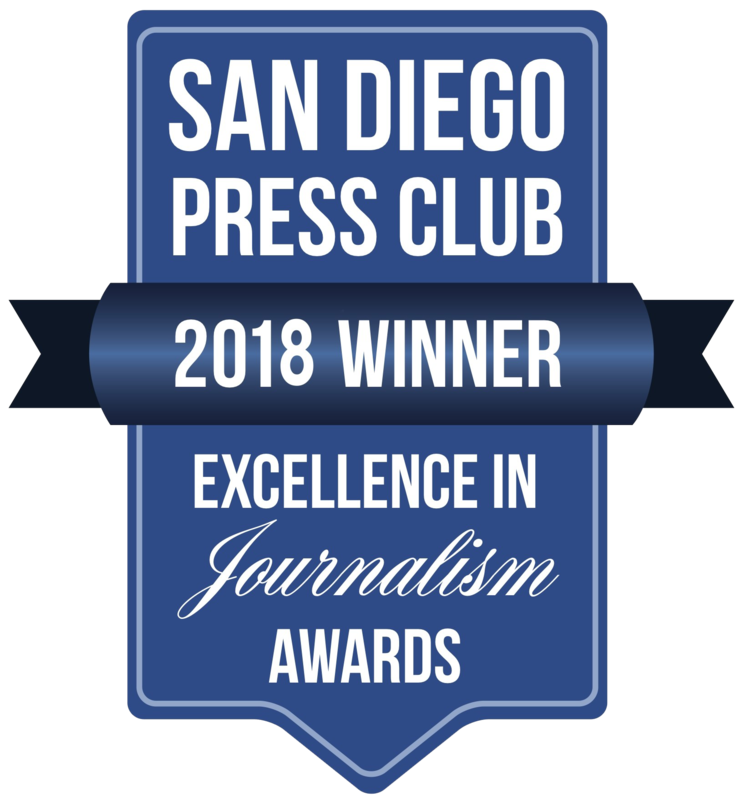 The City of Chula Vista won the team title for 2018, followed by the City of El Cajon and the Water Authority in third place. Representing the Water Authority was the four-man team of Bond, Patrick Barreiro, John Brown and Tony Cepeda. Brown took first in the backhoe operator category, and Cepeda won first place in the wheelbarrow skills. He said his co-workers have been supportive and happy with the Water Authority team’s third place finish. The annual event tests the same skills participants use while maintaining water and wastewater systems, streets, and other vital infrastructure residents and businesses rely on every day. Tasks included Backhoe Skills, Skid Steer Skills, Mini-Excavator Skills, Sign Assembly, and Wheelbarrow Skills. The team with the best overall combined time won the perpetual trophy, along with bragging rights. 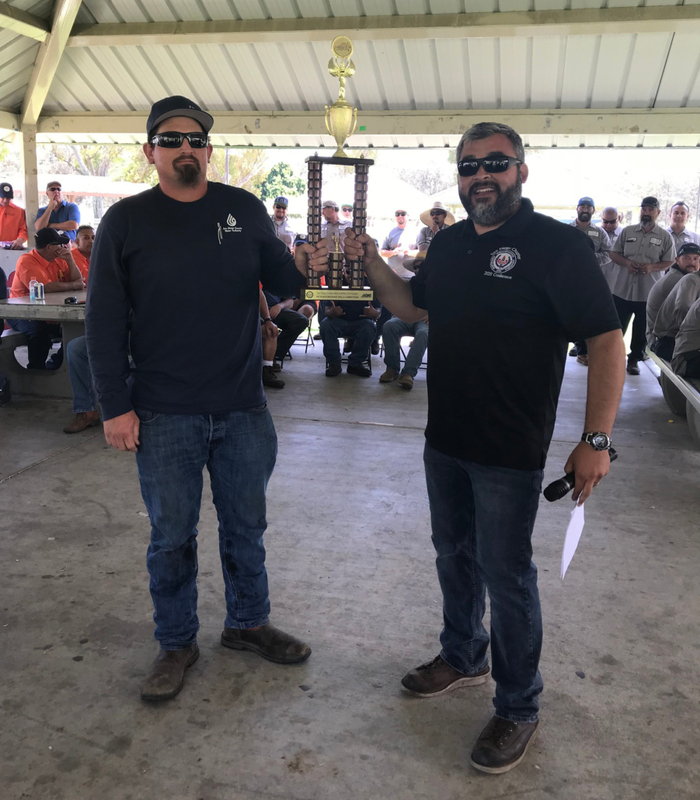 After winning the backhoe category in 2017, Bond captured the 2018 Master Operator title by completing tasks in the lowest overall combined time. 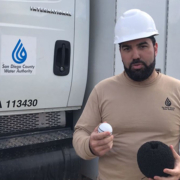 He said the competition may be challenging, but it is child’s play compared to the work he and his colleagues perform every day for the Water Authority. Brown agrees. “Knocking a tennis ball off a cone (in competition) equals breaking a pipe potentially” on the job, he said. 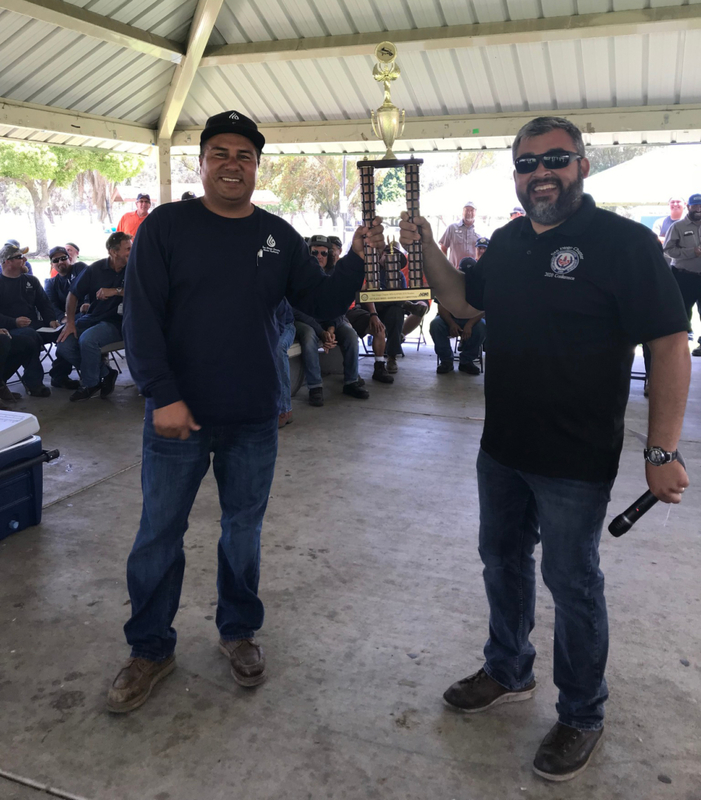 Also winning honors was David Hernado of the Vallecitos Water District, who placed first in the Sign Assembly Skills Competition. Along with the good-natured competition, the event’s main objective is to provide valuable training, and showcase the Maintenance Supervisors Association vendors who provide the materials, supplies, and equipment needed to keep regional public works functioning at their highest level. Three hundred members attended this year’s event. APWA will sponsor the top two equipment operators including Brown and Bond Jr. to compete at the 2018 APWA PWX National APWA ROADEO in Kansas City, Missouri on August 28-29. “We’re real busy at work, we’re running every day,” said Bond, which will allow him and Brown to get in plenty of practice before heading to Kansas City.